It is well documented that the more words a child knows and the faster they learn them, the more successful they are in school. 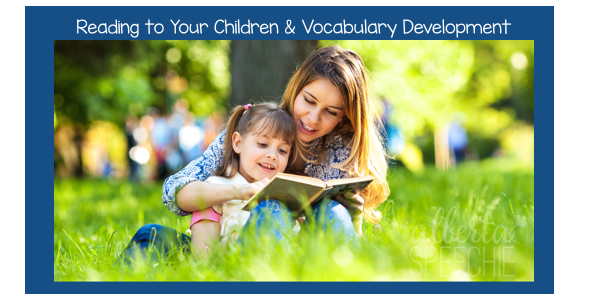 One of the best way to build vocabulary is through reading books to your young children. Why? Books use words that are not as common in everyday conversations but are important to know. The sentences written in books don’t change so children can be exposed to hearing new words the same way again and again to help learn their meaning. For young children, there are illustrations or pictures to help learn the meaning of the story or words. Young children’s books are meant to be engaging and enjoyable, this makes learning fun. If they are having fun, the quicker they will learn. How can I help vocabulary building while reading books? Pick a couple of words in the book to help highlight it’s meaning. Emphasize the word (make it a little louder and longer than the other words). Use sentences like “gargantuan means really really really big.” CAUTION: only pick a couple of words per reading, if you do this too often then children will quickly stop paying attention. Don’t be afraid to use gestures or act out parts of the story to help children understand the story and meaning of specific words. If talking about a “gargantuan pile of garbage” use gestures to show “how big.” Better yet have the children do it. Don’t be afraid to read and re-read a book. Children will often request you read a specific book, even if you have read it a “thousand times.” Children will get something different out the book with each reading. These are also important ideas for children who are reading. Encourage them to read everyday.